Choosing a garden shed is like choosing a friend. You want to feel welcome around it and comforted by its presence. A garden is cared for painstakingly every season and the shed should be an extension of that hard work and effort. If the primary function is tool storage, then windows and custom doors are not required. A simple tin shed available at any big box store will suffice. A shed should allow room for growth, regardless of the way it was made. There are literally hundreds of styles to choose from; colonial is popular in my neighborhood, others are arts and craft, greenhouse, metal, log cabin and models of your home can be custom built as well. The colonial is a shed with a slate roof and a faux tudor wall, usually with a split (dutch) door at the front and a small access door at the rear (optional). Some may have a loft for bulky items that need to lay flat. An arts and craft shed is a more "homey" style with a porch on the front and a combination of windows and typical shingles. The trusses (ceiling) are wide open from the inside and they usually come with a double door. 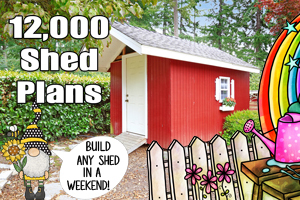 All of these sheds come with a floor built in, whereas the metal sheds offer an optional floor. Each shed should serve two purposes: aesthetically pleasing appearance and functionality. A coat of paint on a shed will make or break the sale, while shoddy construction will always dissuade a customer from purchasing the garden shed they are looking for. The construction of the shed should use, at minimum, a 2x3 inch stud and each truss and wall support should be no more than 20 inches apart. The closer the supporting boards, the stronger the shed. Check to see whether there is a ridge vent or gable vent in the shed, these allow for fresh air and let the heat out on a sunny summer day. If the manufacturer installs windows, be sure they open properly and that they are either glass or polycarbonate. The poly windows are much stronger and a neighbor kid won't break it with a baseball. A lot of people talk of acrylic as though it is the strongest plastic window available, but I tend to disagree. Acrylic is very weak, a small scratch on either side and the window can be broken with a finger. Acrylic will also yellow in direct sunlight and begin to scale over as the seasons change. The shingles should be installed the same way a house is done, felt paper and five nails per shingle. Gutters aren't required, but the shingles are the only things protecting your tools and stored items. A shed is a great thing to have and should be chosen like you would choose a car; function, economy and long life. 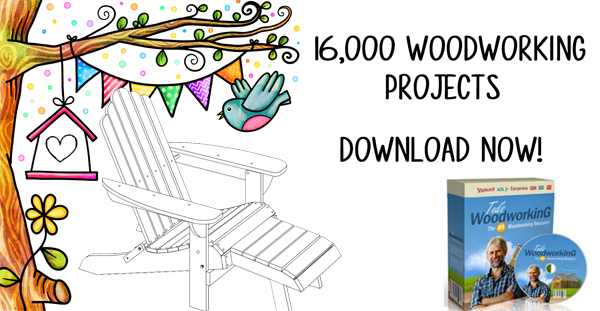 Mini Garden Shed Plans - Store shovels, rakes, grass seed, and other yard care items in this charming outdoor structure. 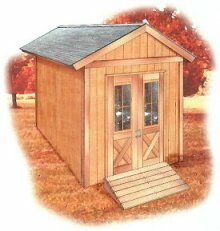 U-BILD Storage Shed Plan - Straight cuts of standard lumber and simple construction techniques. 6 ft. long by 4 ft. wide by 6 ft. tall.